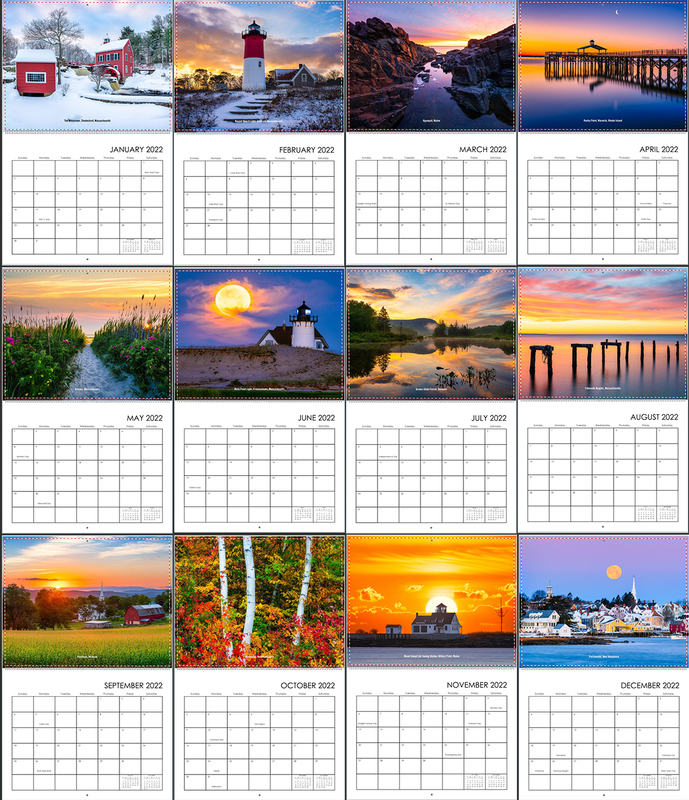 This wall calendar features photos taken throughout the New England states. It is 8.5” x 11” when closed, 11” x 17” when opened, spiral bound, and printed on high-quality paper stock. It usually ships within five business days, with free shipping included anywhere in the Continental USA.